Call or stop by Yarn Nook to sign-up for this class. And here, you can see that we have come a long way from military headgear of ancient Greece! This 21st Century model is chic and stylish and can be worn in 5 or 6 different ways. Three are shown here. 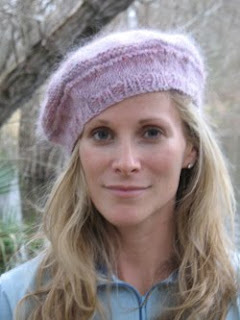 In class we will make an adult-sized beret using circular needles. There will be no seams to sew up! To keep things simple I would suggest using a medium weight yarn calling for sizes 8, 9 or 10 needles. You will use 2 different sized needles for the hat: the smaller size for the ribbed brim and the larger size for the rest of the hat. 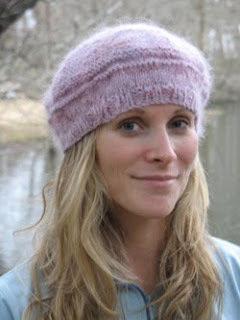 For example, if the yarn calls for a size 8 needle, you will use a size 6 for the ribbed brim. If the yarn calls for a size 10 needle, you will use a size 8 for the brim. 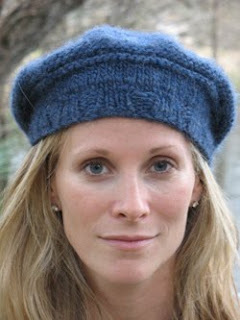 You will also need double-pointed needles of the larger size for finishing the top of the hat. For this beret we will be knitting and purling, increasing and decreasing. We will learn to top off the hat with an I cord or a Bobble. Patterns will also by available for youth and baby sizes. PLEASE COME IN AT 10:00am TO GIVE US TIME TO PICK OUT YARNS.